About Us | Tree Solutions | Tree Surgeons | Tree services across Surrey, Hampshire & Neighboring areas.Tree Solutions – Professional Tree Surgeons About Us | Tree Solutions | Tree Surgeons | Tree services across Surrey, Hampshire & Neighboring areas. Tree Solutions are a friendly team of highly qualified, professional tree surgeons offering an extensive range of tree services across the south east. Based in Guildford Surrey, the areas that we cover include Surrey, Sussex, Hampshire, Berkshire, and some areas of Kent. At Tree Solutions we are specialists in all forms of tree care, carried out to BS 3998 standards utilizing the latest arbouricultural technology and techniques. Where necessary we liaise with Local Authorities for planning, tree preservation orders (TPO’s) and Conservation area applications. 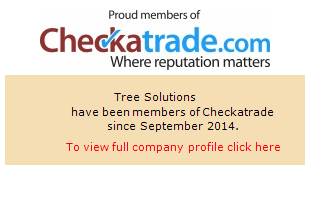 Tree Solutions are proud of our commitment to environmental factors, quality, and health and safety factors. As such all arisings from our tree works are removed from site and are recycled into organic products, a significant amount of which is utilised as eco-friendly bio-fuel. We are also able to provide Method Statements and Risk Assessments for all situations. All of our accreditations, insurance and health and safety certificates and policies are freely available upon request. Contact us today for a free quote..